Stunning Patio Home in StoneBridge Village on its own lot with mature trees & open area. The single level living space features a grand great room from the entry to covered back deck. Kitchen with custom styled cabinetry, granite counters and all stainless steel appliances. Master Suite with lite tray ceiling design. The secondary bedroom allows space for office or guests. The easy no step garage entrance added to the already comfortable lifestyle. 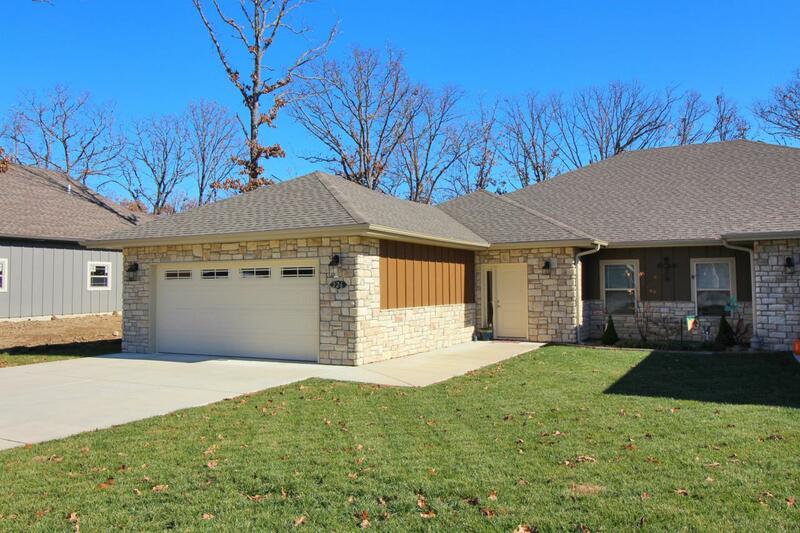 The location is minutes to shopping, services, attractions and Table Rock Lake. The First Class amenities of StoneBridge Village and LedgeStone Golf and Country Club provides all the activities from pools, tennis, fitness, golf and more within a gated community. 1/2 duplex but you own the single lot and self maintain lawn.